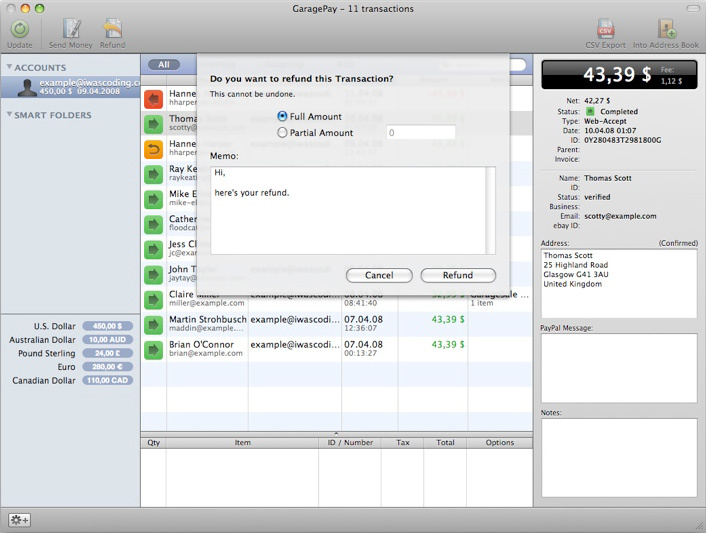 GaragePay is a Mac application designed to make dealing with PayPal a lot easier. It lets you download, view, search, and archive all your PayPal transactions without having to log into the PayPal website. Since all information resides in GaragePay's own database the application can be used fully featured even without an internet connection. It downloads all transactions in all accounts while updating previously downloaded transactions. GaragePay includes a couple of handy features. Through the filter mechanism eBay sellers can search for a transaction, a payer's name and address or even single words in transaction messages. With the application's Smart Folders you can keep track of payments from particular people or of transactions in a certain currency. If needed you can export CSV files that include all information shown in GaragePay's main window. Last but not least, you can use as many PayPal accounts as you like at the same time. One of your customers is not happy? Well it can happen. Giving a refund has never been quicker so that you can stop being angry and continue concentrating on your business in no time. 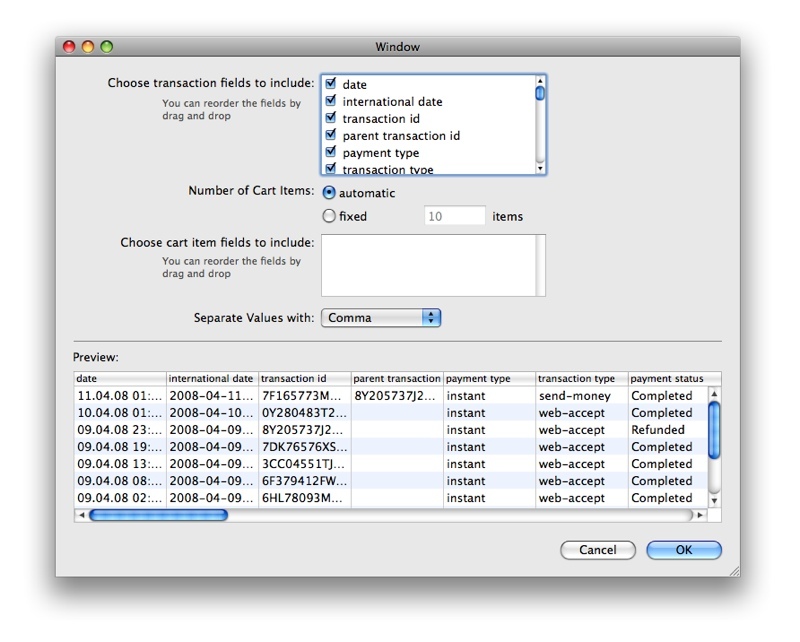 Looking for an easy way to add PayPal transaction data to your spreadsheet or database? 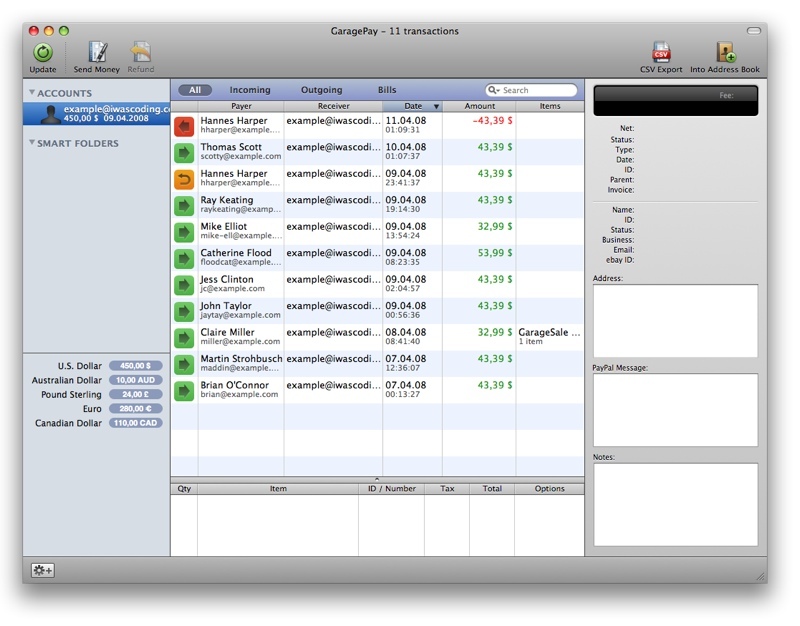 With GaragePay you can export CSV files that include all information you need. 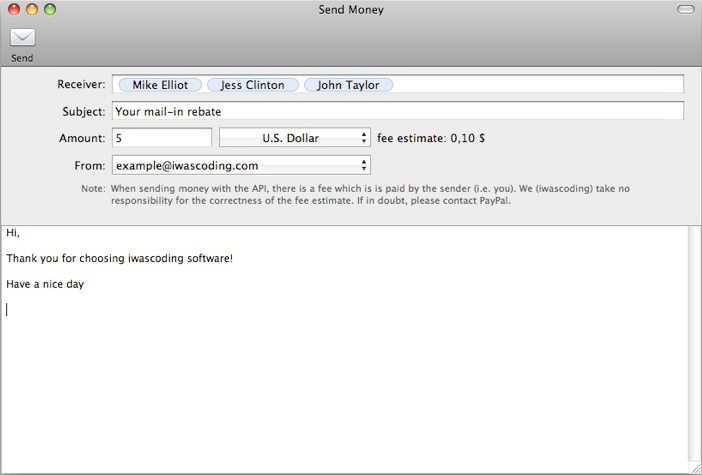 With an email like interface GaragePay's way of sending money can be a real time-saver when sending money to a lot of persons. Download GaragePay and start with your Paypal account or with a sample database. All that's required is a PayPal Business or Premier account - and a Mac.